If the waiting period is adopted, D.C. will become one of a very few places in the nation where a person cannot walk into a tattoo parlor and walk out with a tattoo. I have a better idea. Let’s get tough on “impulse tattoos.” Instead of forcing people to wait a day to get the tattoo they’ve chosen, let’s turn the tables. Let’s instead make them get a tattoo that they’ll regret. 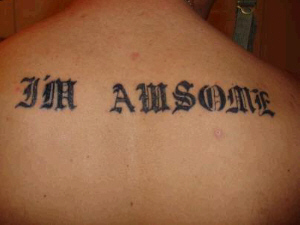 You don’t want to get your tattoo spellchecked before you have someone ink you? Fine. We’ll give you a tattoo riddled with spelling and usage errors. You think a tattoo of “#sharknado,” “Robin Thicke Forever” or the URL of your LinkedIn profile will stand the test of time? Okay. 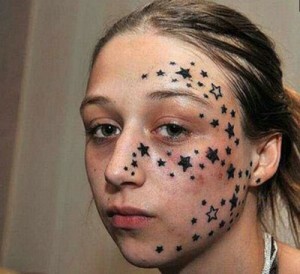 We’ll give you a tattoo that enshrines your bad decision better than parachute pants or a Hypercolor shirt ever could. These punitive tattoos imposed by the D.C. government will serve as a lifelong reminder of the choice they made and they’ll serve as a warning to others to seriously think about the tattoo they want before they get it. Some might call this proposal “too much.” I think anything less is too little, too late.